What customization can be done to the appearance of the site? 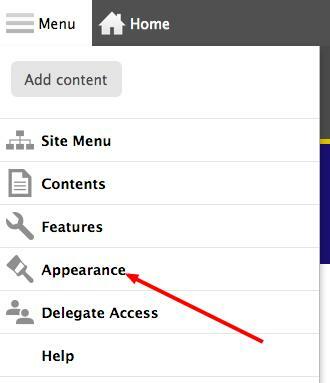 When logged in, select ‘Appearance’ link from the Menu link on the top of the page. 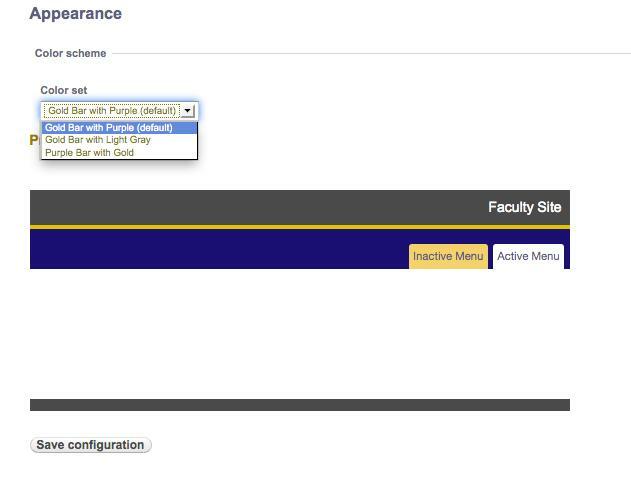 In the next page, you can select from one of the three available themes in Color Set the drop down list. The section below the drop down list has the preview of the selected color set. Select the Save Configuration button to update the appearance. Where is my site & how do I login? How to update the ‘About’ page? How to add/update site content/structure? How do I find all the content in my site? How to add and link a file/document to a page? How do I add an image to the page? How to manage site menu? How do I add a site menu (menu tab)? How do I re-order the site menu (menu tab) items? How to change the theme colors? How to enable & use other features? How to Delegate access to someone to update my site? How to enable & use blog feature? How to enable the appointment calendar? How to add appointment slots? How to configure the appointment calendar settings?